When I first moved to Edmonton from Toronto, I was always craving baked cookies. Oatmeal-chocolate chip cookies ended up being my go-to cookie to make Not only was it easy to make (at that time I didn't even have a Kitchen Aid), it was a breeze to throw together even while studying. 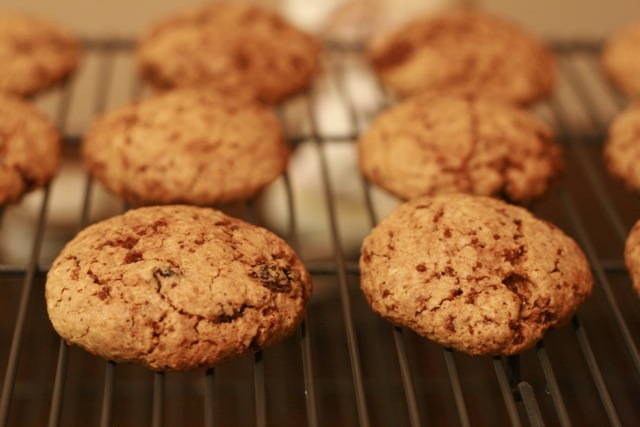 This oatmeal-chocolate raisin cookie recipe has gone through some iterations along the way, but it is one of the chewiest and tastiest cookies that I have ever made. It also goes very well with milk. 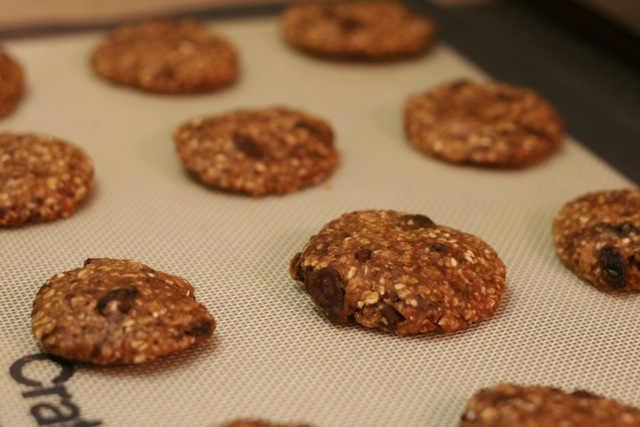 Food Bloggers of Canada in conjunction with Manitoba Canola Growers has put out a call for a cookie recipe for the holidays using Canola oil as the only fat within the recipe. 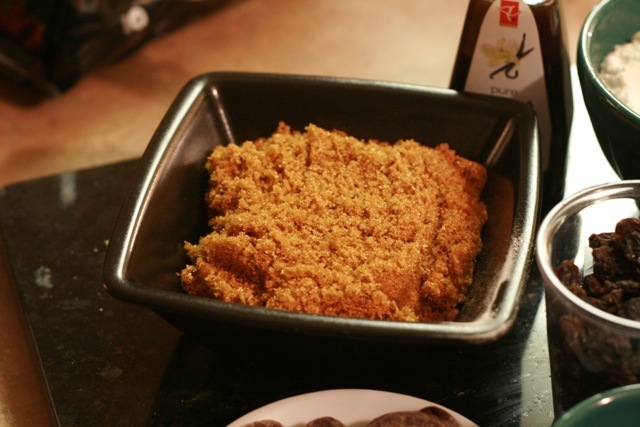 For this recipe I modified my own go-to recipe and made my own brown sugar (recipe below). Enjoy with a nice glass or milk or as a snack before bed! 2. In the bowl of a stand mixer (I use a Kitchen Aid) place the paddle attachment on. Then, blend the canola oil, brown sugar, vanilla extract and salt on low speed. It should combine after 2 minutes. 3. Add the eggs one at a time. After they have been mixed into the mixture, scrape down the sides of the bowl after each egg. 4. Sift the flour, baking soda, and cinnamon together. Add the entire dry mixture into the wet mixture. Mix on low speed until just combined. 5. Add the oats and mix until just combined. Scrape down the sides of the bowl as needed or the bottom of the bowl. 6. By this time, your mixture will get quite stiff and it will be hard to mix with the paddle attachment. I prefer to blend the raisins in by hand. You can also use a rubber spatula. 7. Once the raisins are folded/hand mixed into the dough, add the chocolate. 8. Roll the doll into balls, then flatten onto the prepared baking sheets. Leave a space approximately 1 inch apart in order for the cookies to rise when baking. 9. Bake until golden brown. This will be 10-12 minutes. In my oven it took about 10 minutes for the edge of the cookies to turn golden brown. 10. Take the cookies out of the oven. 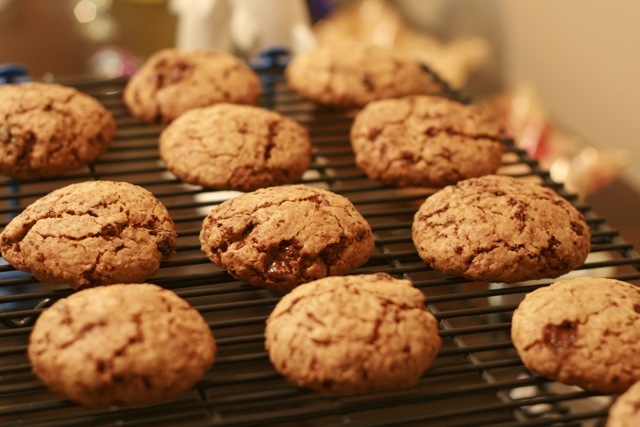 Set each cookie on a cooling rack and allow to cool completely before eating. I often store the cookies in airtight containers to preserve their freshness. When I am ready to enjoy them again, I toast them in the toaster oven. You can also use butter instead of canola oil. 3/4 cup of canola is about 250g (1 cup butter). Making your own brown sugar is surprisingly easy. The added benefit is that you can make brown sugar whenever you want and never have to worry about your brown sugar solidifying into a rock hard substance that you can only chip away at! 1. Place granulated sugar into the bowl of a stand mixer. 3. Fit the paddle attachment on the mixer and gently blend molasses and sugar together on low speed. 4. After 5 minutes you will have made your own brown sugar! Hi Lillian! you are an inspiration...are you sure there is a whole tablespoon of vanilla and a whole tablespoon of cinnamon?! seems like a lot?! yummmy....will have to try this recipe...and if molasses were readily available here, would SO try to make my own brown sugar!!! You can just use regular brown sugar too! 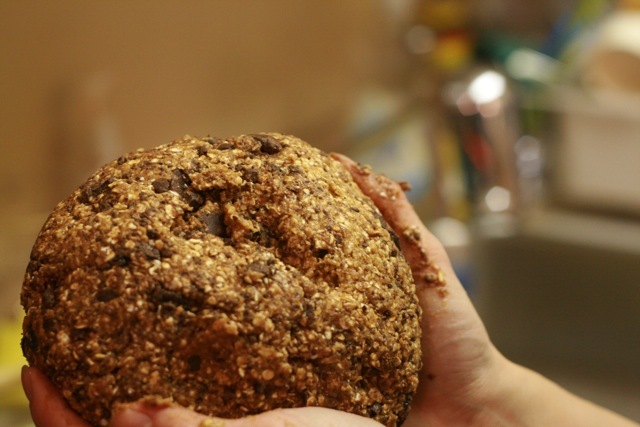 Although, making your own brown sugar is so much fun and easy! Plus you get some glorious colours! Thanks for sharing all the photos that go along with your entry. I really like how you have added a teaching component to your story by showing us how to make brown sugar from white sugar and molasses. Best of luck in the contest! @Jenn: thanks for the encouragement! It was a lot of fun! 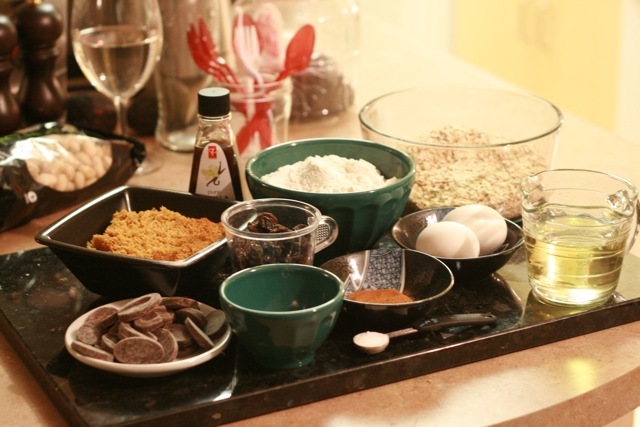 I was also surprised that I could bake and blog with in the same night :) Yes, do try making your own brown sugar! Lots of fun, so simple and no need to keep your brown sugar constantly soft.